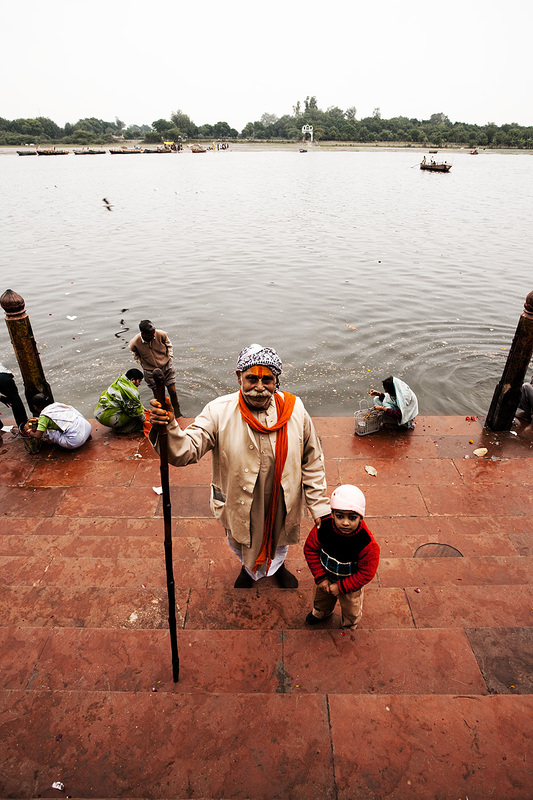 Pilgrims, grandfather and grandson, pose for a picture on the ghats of the holy Jamuna river. The mysteries in India are too many for me to understand. Take this older man for example. Out of nowhere, he approached me, asked me to take a photo of him and his son. Then, beyond all reason, he demands baksheesh (tip). I never wanted his photo in the first place but he has the audacity to try to press me for money. Judging by his girth, I don't think he's anywhere near poor enough to starve. On these occasions, I simply return the demand onto him. "I'm a professional photographer and I charge $100/photo. You owe me $300." That usually does the trick and the man shamelessly slithers away. I should mention, these kinds of shenanigans happen in most tourist places in India, generally from career beggars who solicit to obtain wealth, not merely to get back on their feet or survive. In Mathura, it was a one time isolated occurrence because most people here aren't yet tainted by contact with tourists. 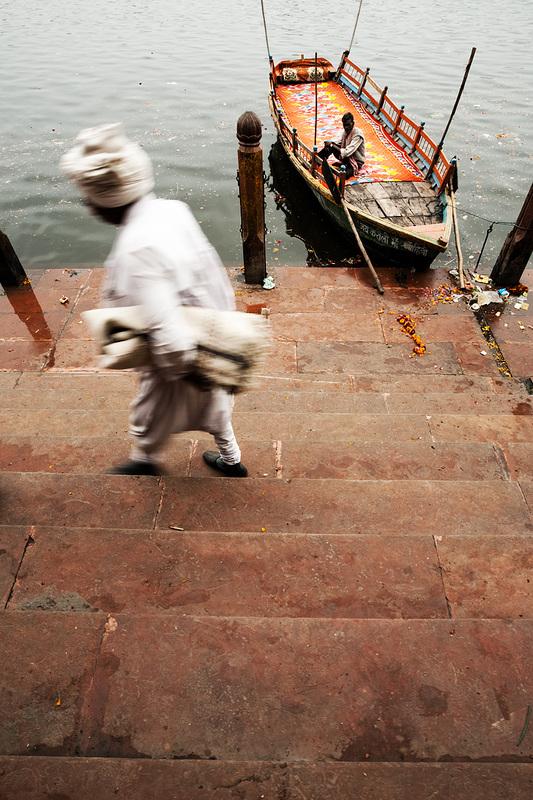 A boat man watches a potential customer blur by. I've been experimenting a lot with motion blur and slow shutter speeds recently. Naturally I like the photos but I'm curious how you guys feel about it. If you have the time, I'd appreciate any kind of feedback, either in the comments below or a direct email to me. ¡Gracias!